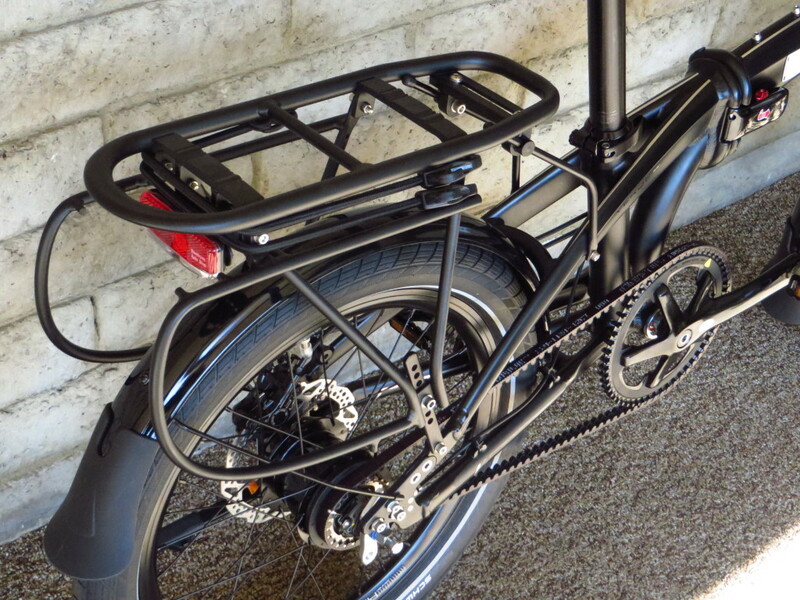 The Verge S8i may very well be Tern’s best overall folder. 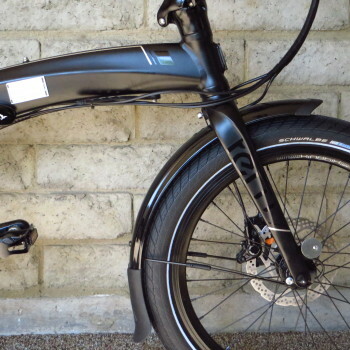 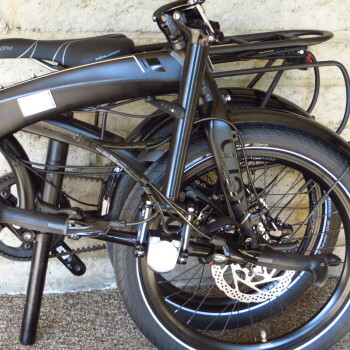 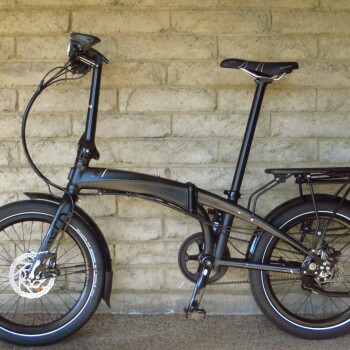 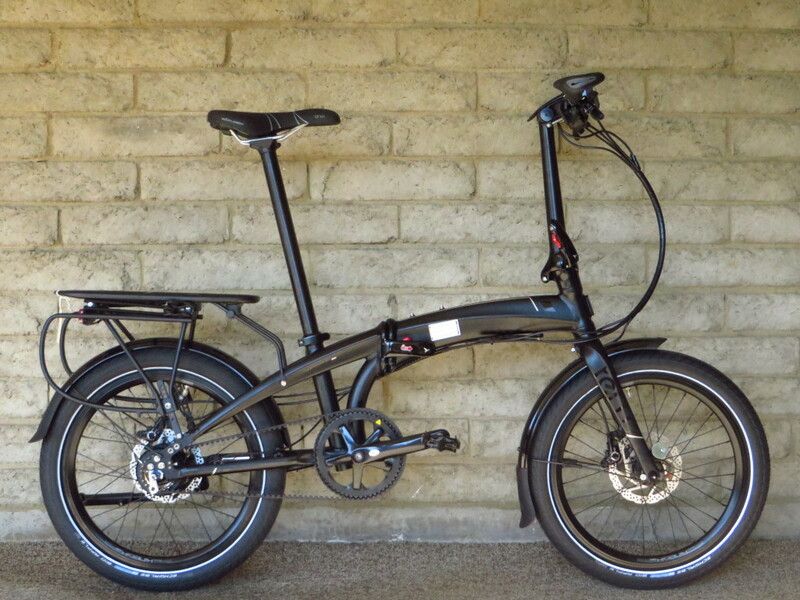 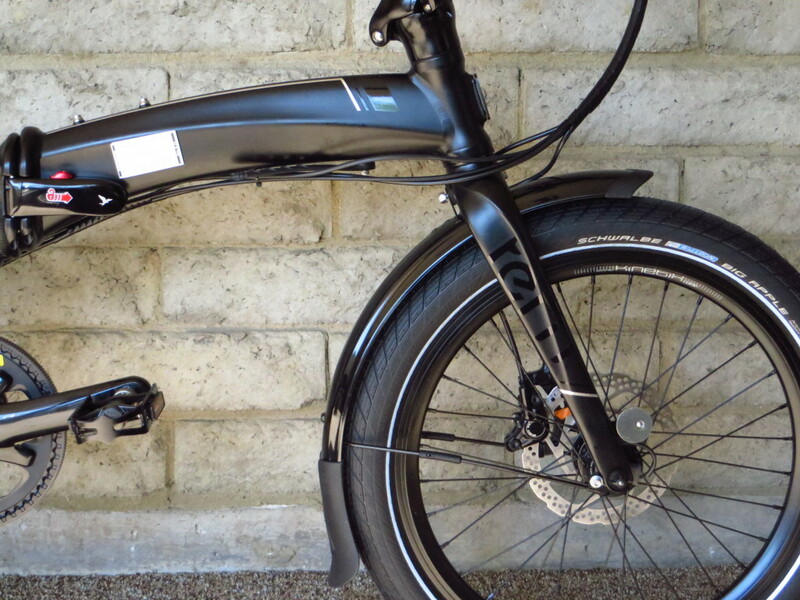 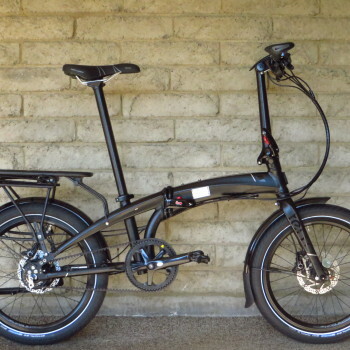 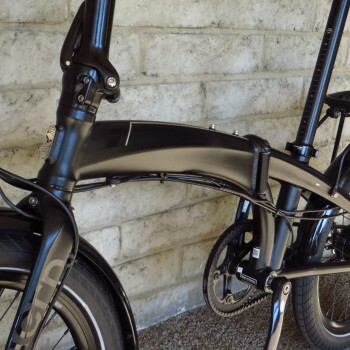 Designed around a Gates belt drive and an Alfine 8 speed internally geared hub transmission, it is quiet, clean, and practically maintenance free. 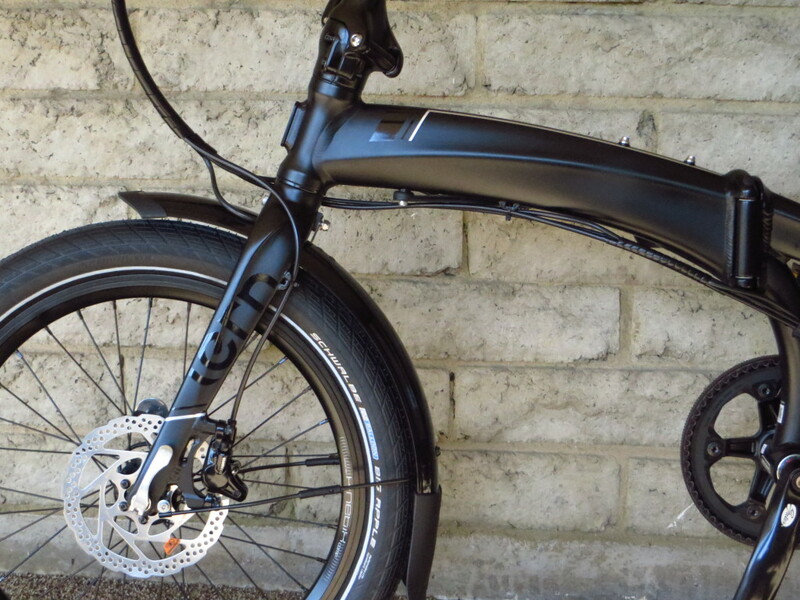 The combination of an adjustable handlebar stem, the long 41″ wheel base, and the wide, smooth rolling Schwalbe Big Apple tires makes it one of the most comfortable, stable rides you’ll ever have. 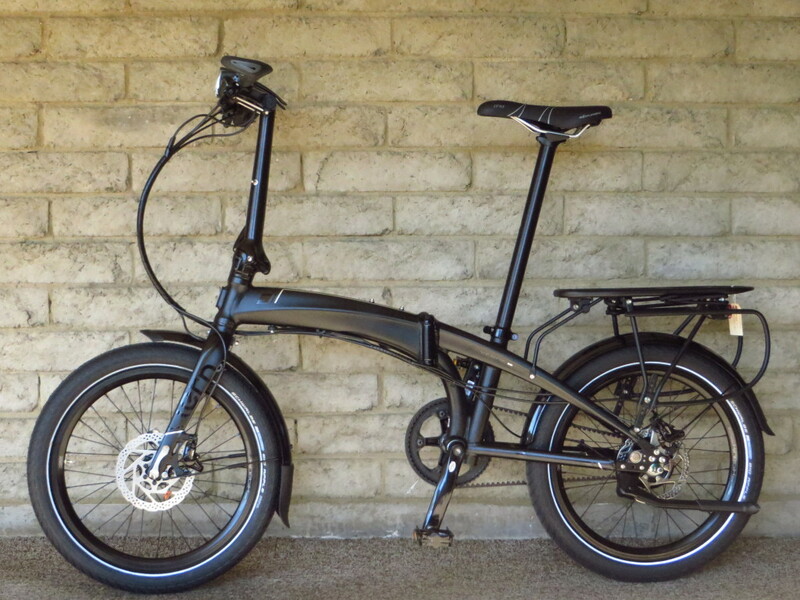 All this is achieved without compromising the quickness and agility that Tern is known for. 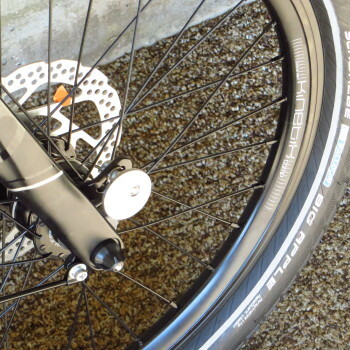 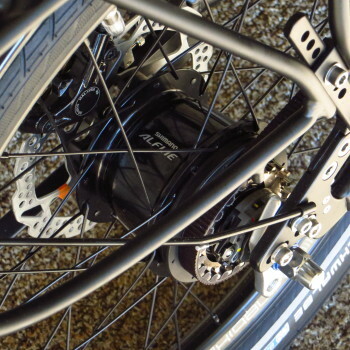 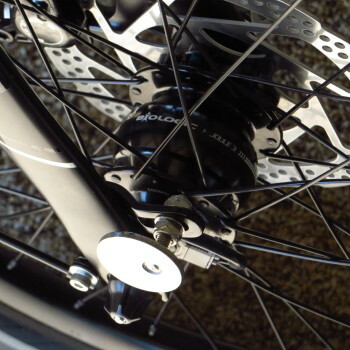 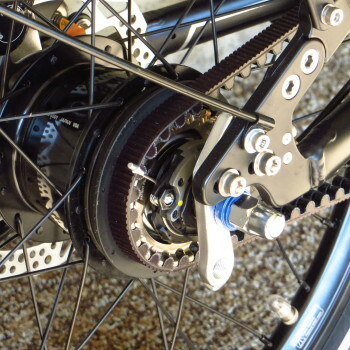 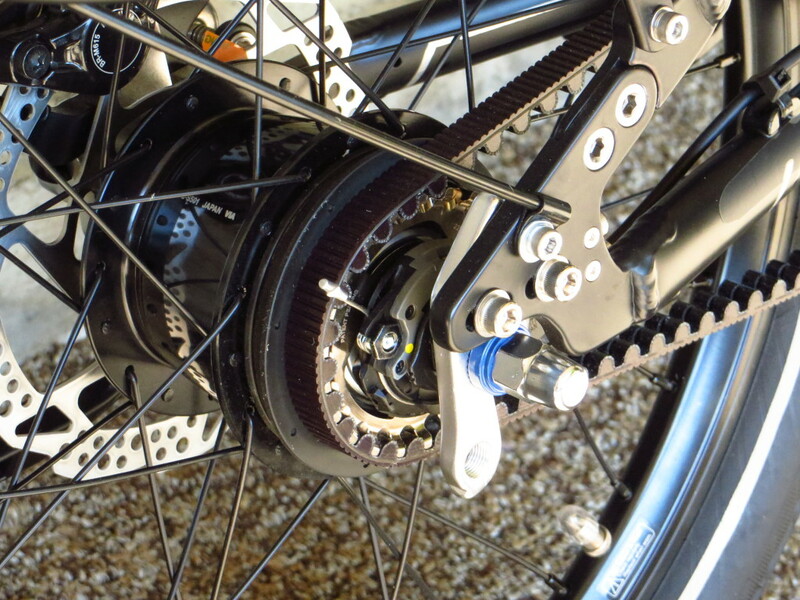 The addition of a front hub dynamo, L.E.D. 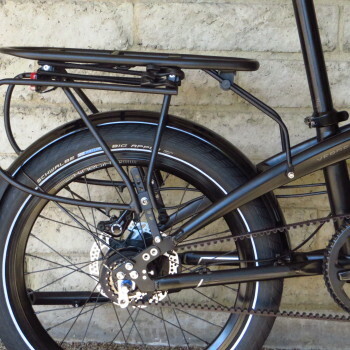 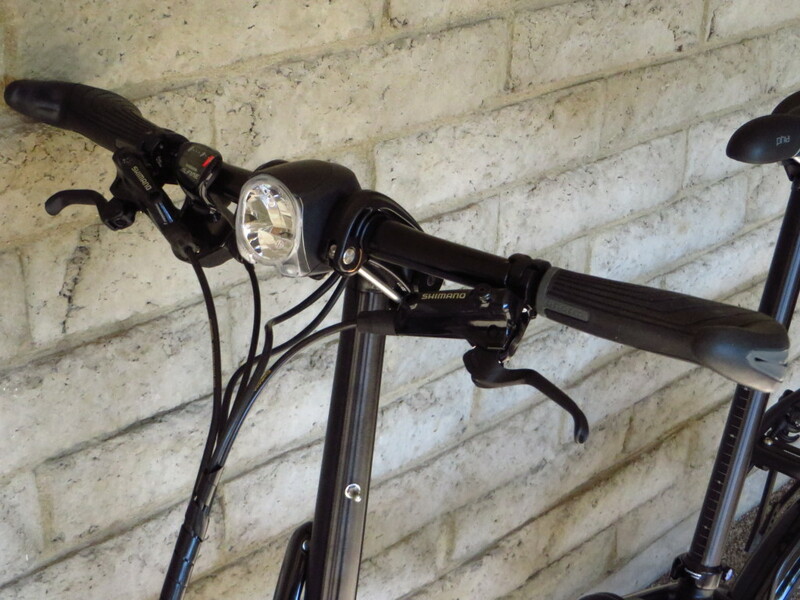 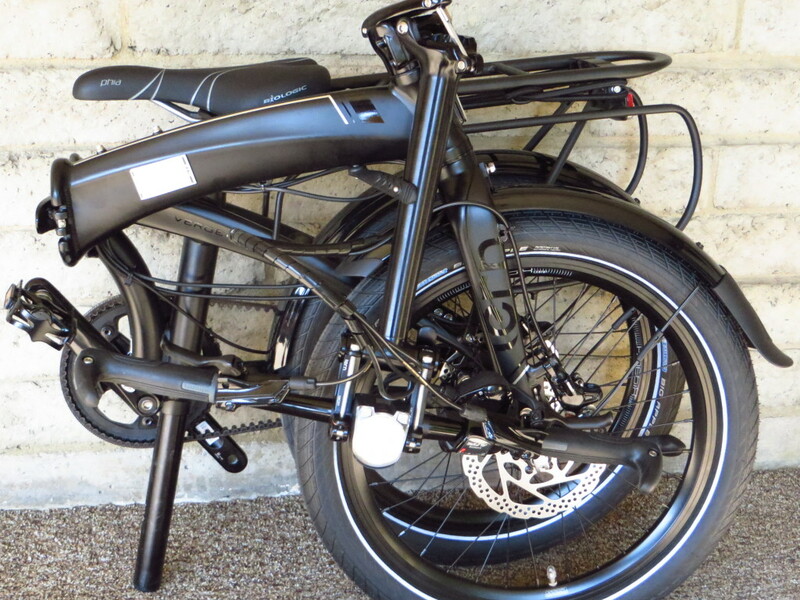 lighting system, fenders, and rear rack make it practical as well. 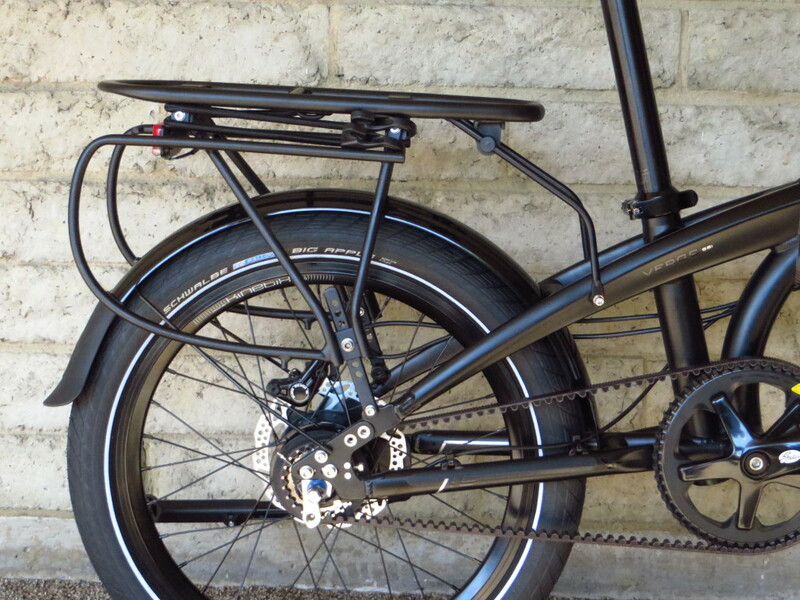 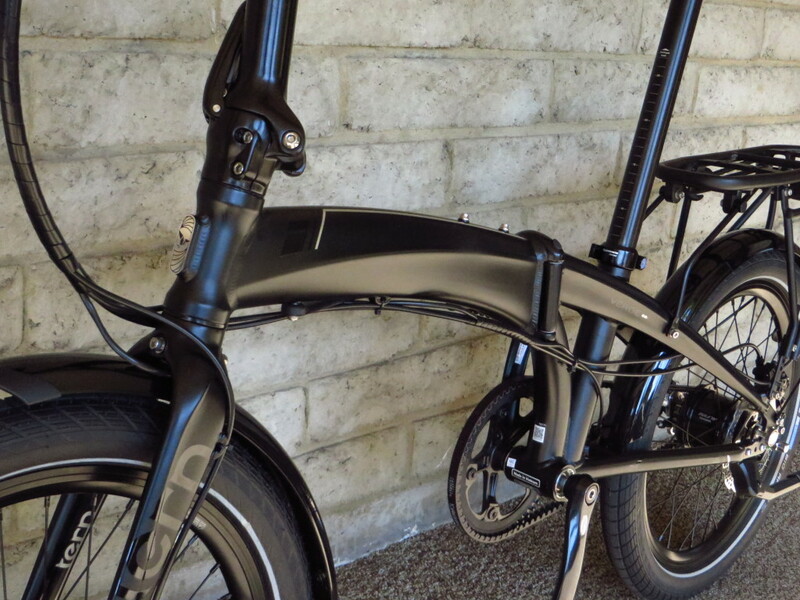 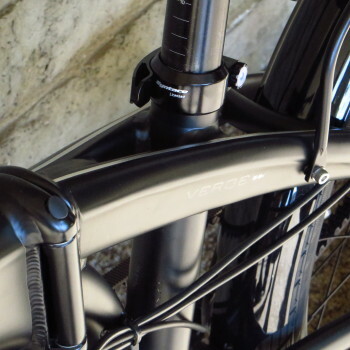 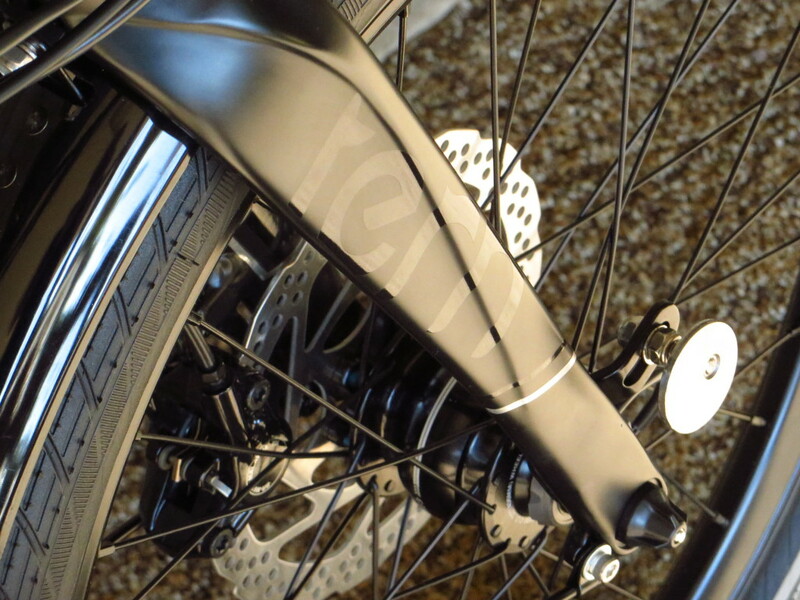 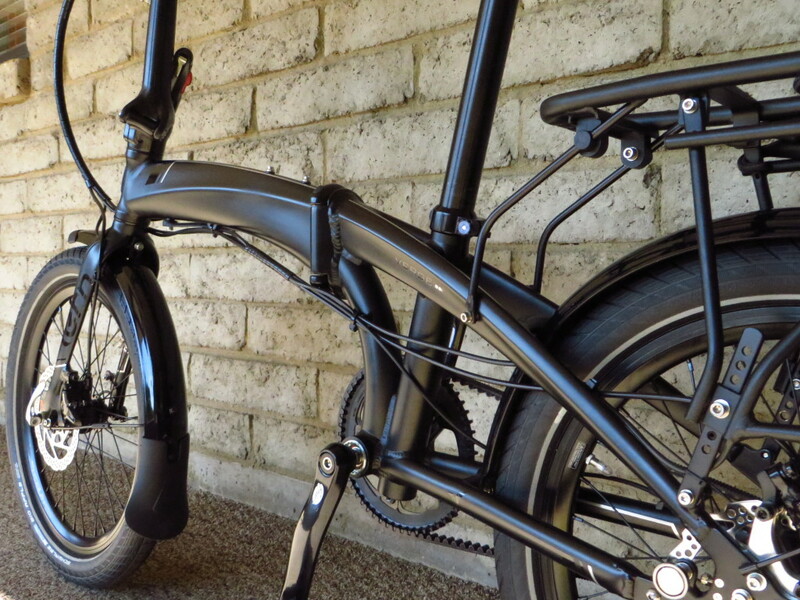 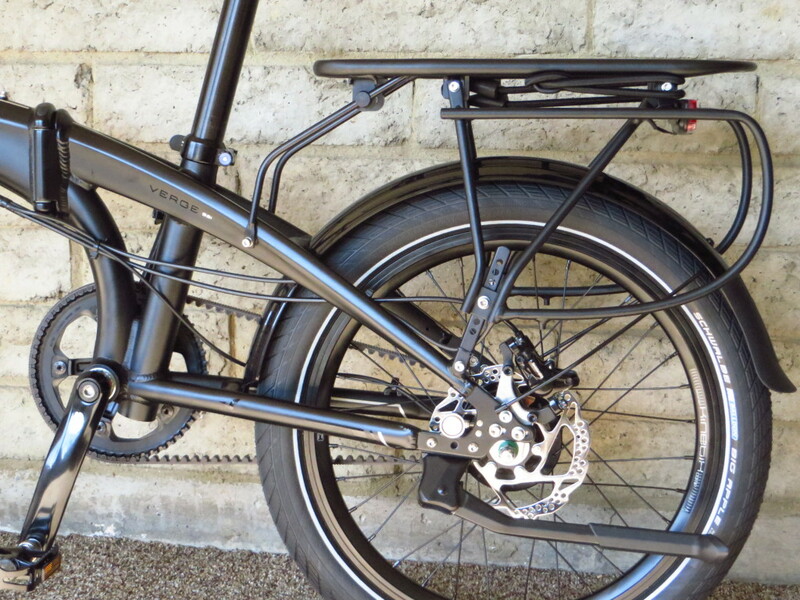 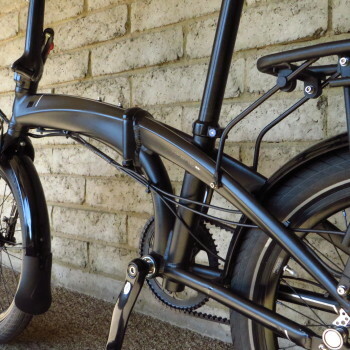 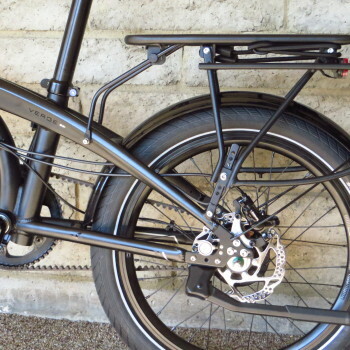 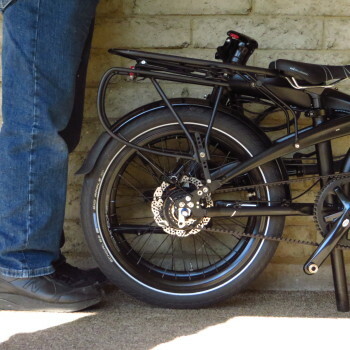 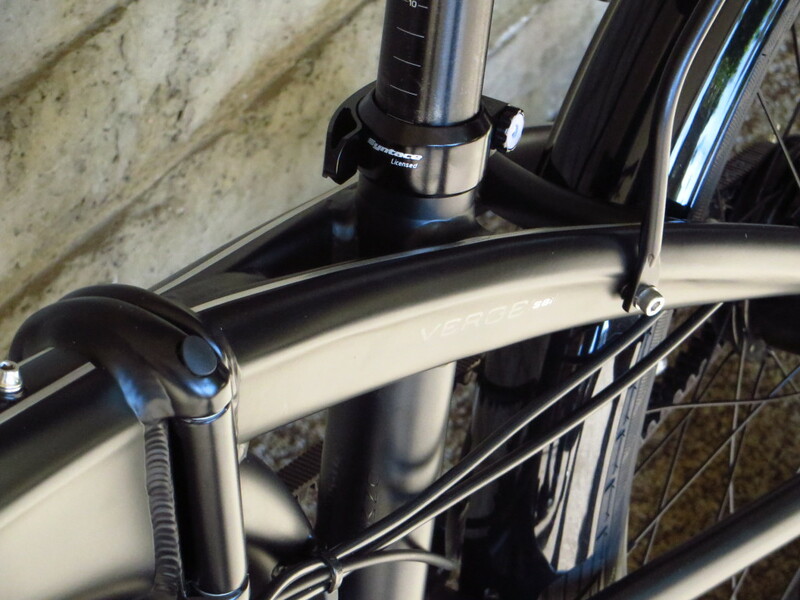 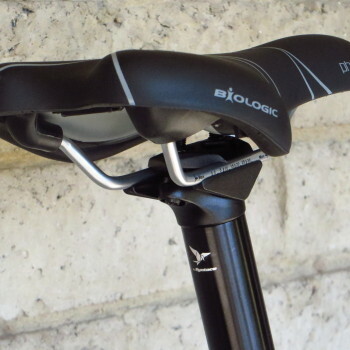 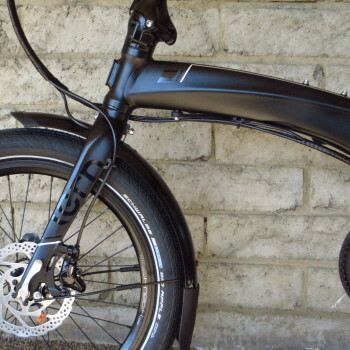 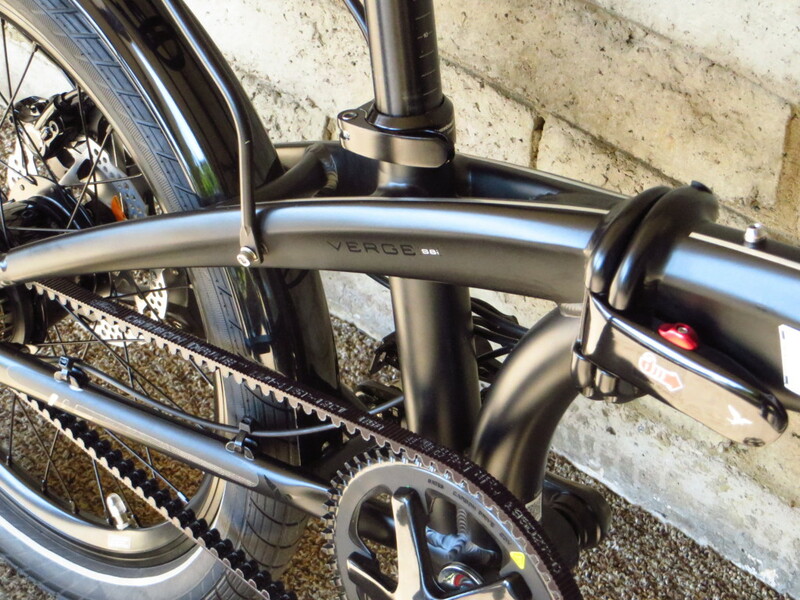 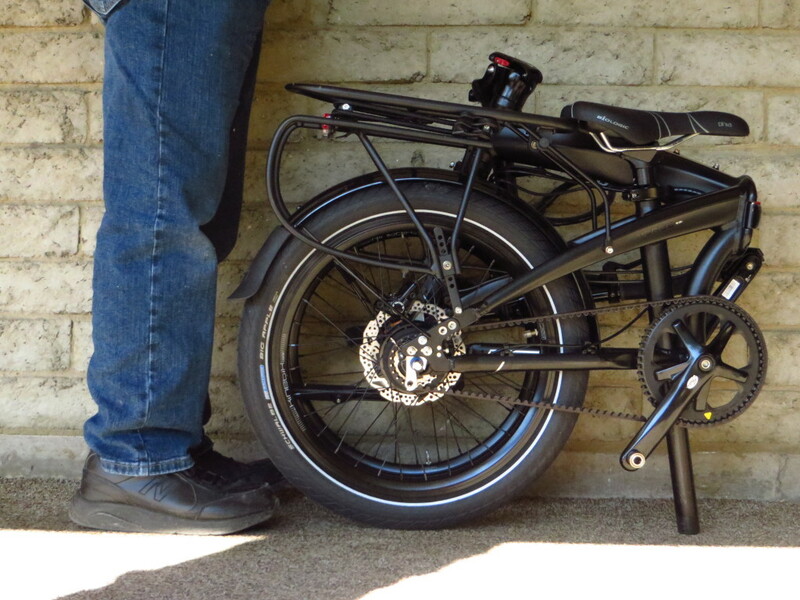 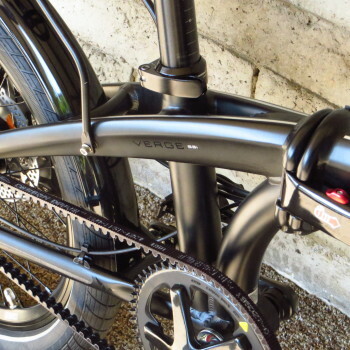 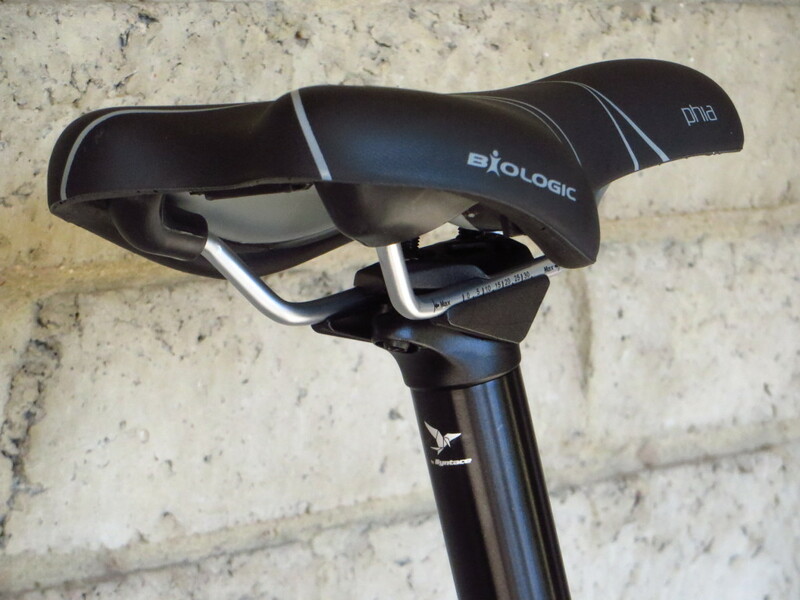 This bike is a solid, durable addition to the Verge line-up. 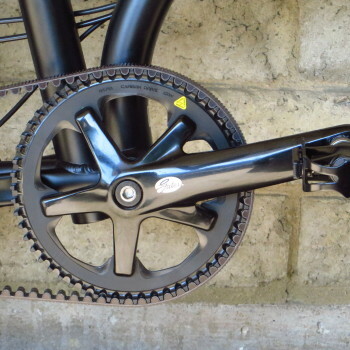 Transmission: Shimano Alfine 8 IGH providing a nice wide 27 to 82 gear inch range, Shimano 8 speed Alfine shifter, Gates carbon drive crankset with a Gates carbon drive belt, and MKS quick release pedals. 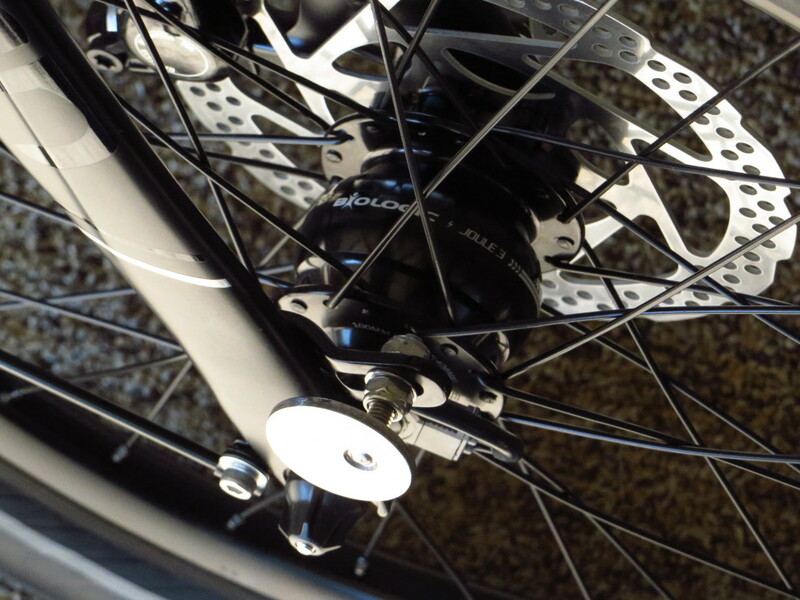 Wheels: Biologic Joule 3 disk dynamo front hub, Shimano Alfine 8 speed IGH rear hub, stainless double-butted spokes, Kinetix double wall aluminum rims, and Schwalbe Big Apple 2.15″x20″, 55-406 tires with kevlar puncture protection. 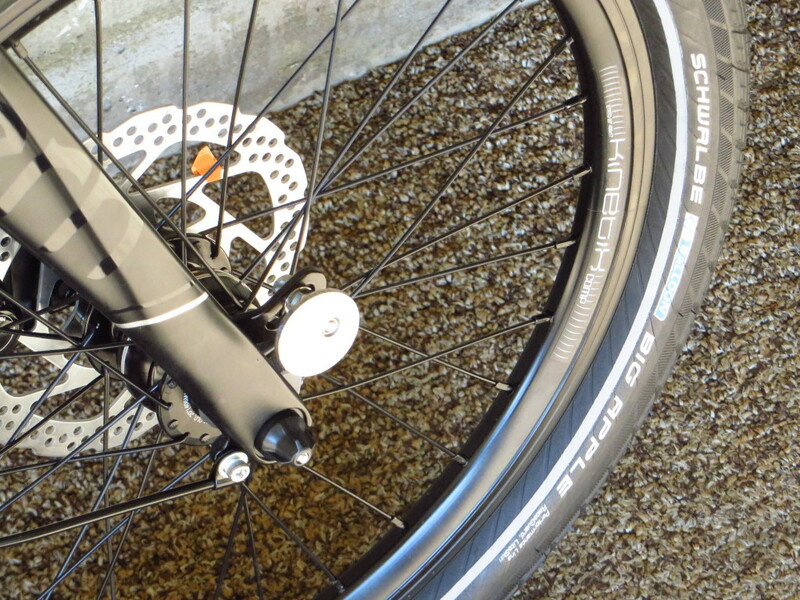 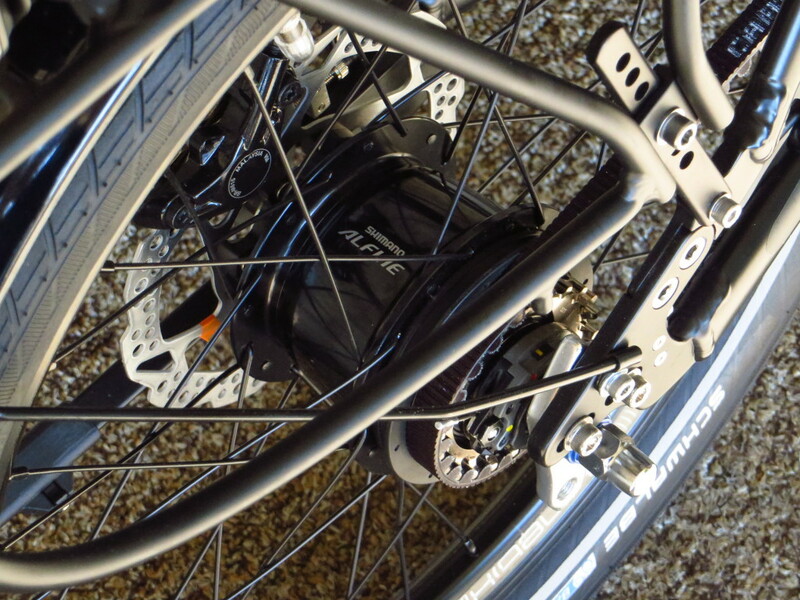 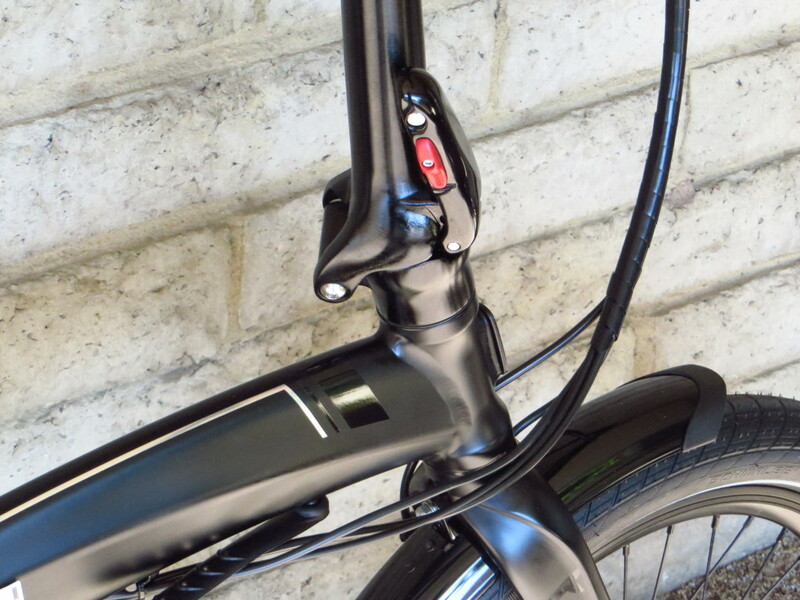 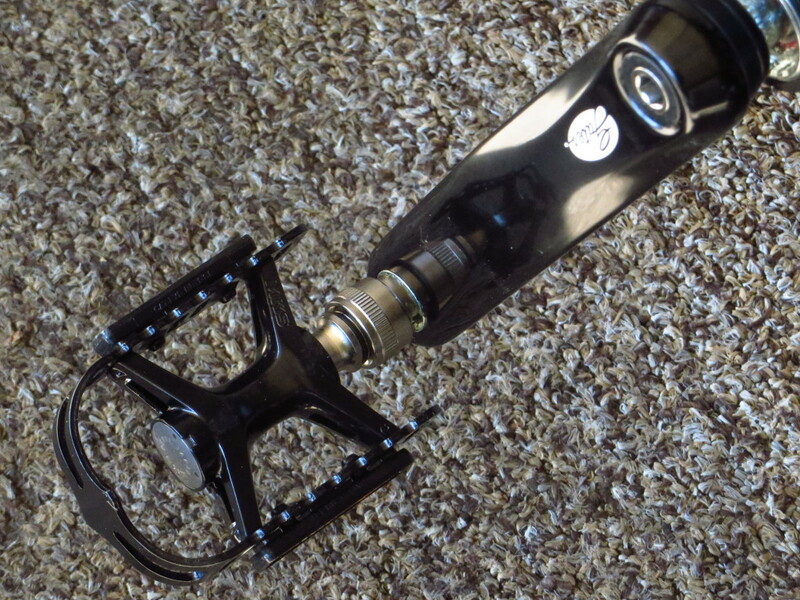 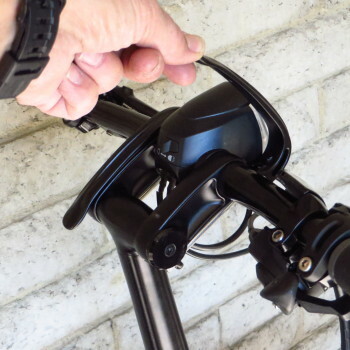 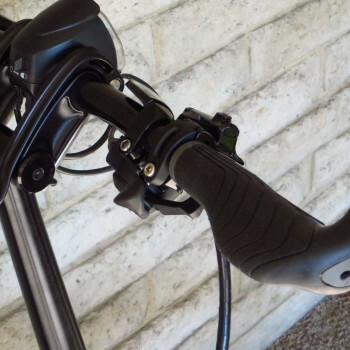 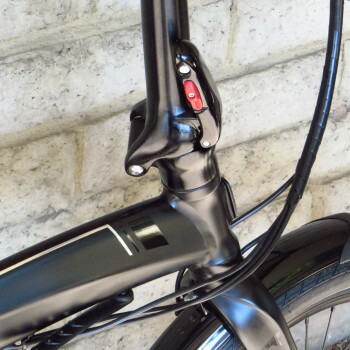 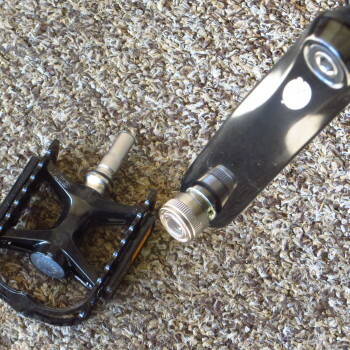 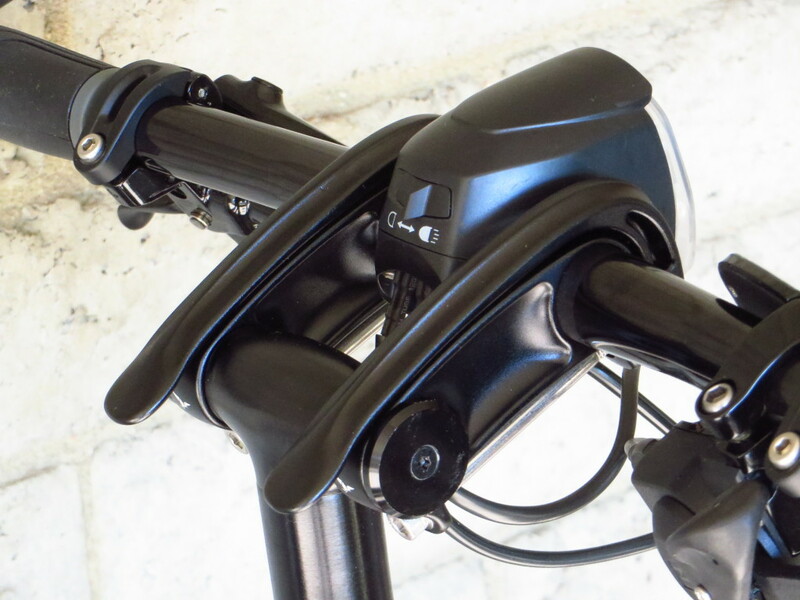 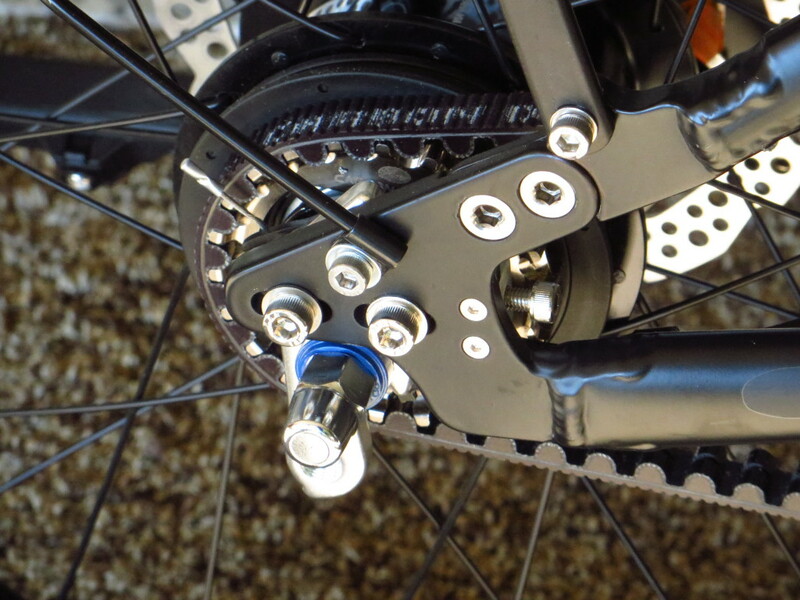 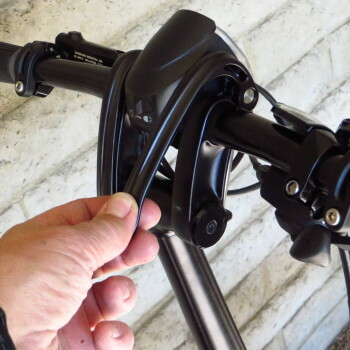 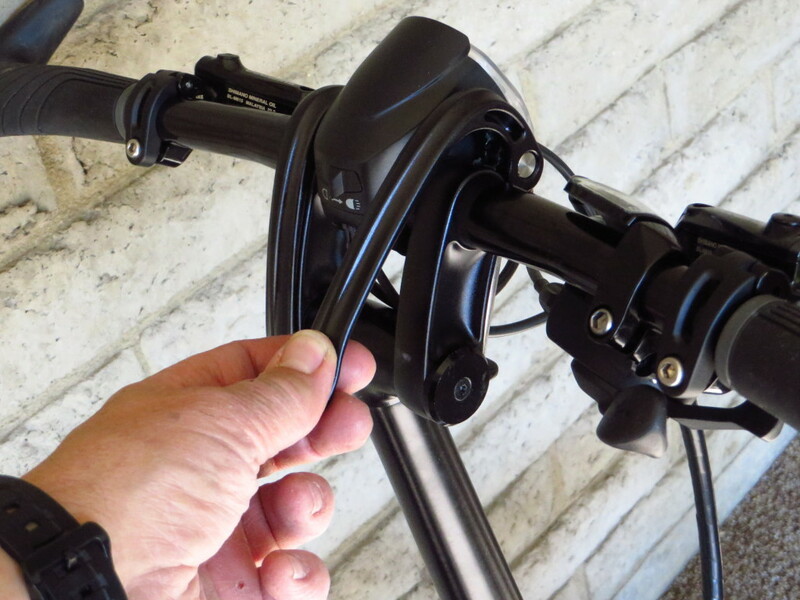 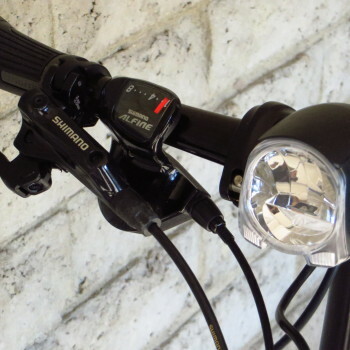 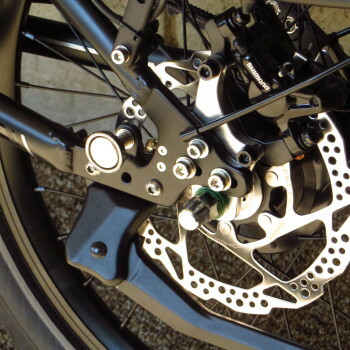 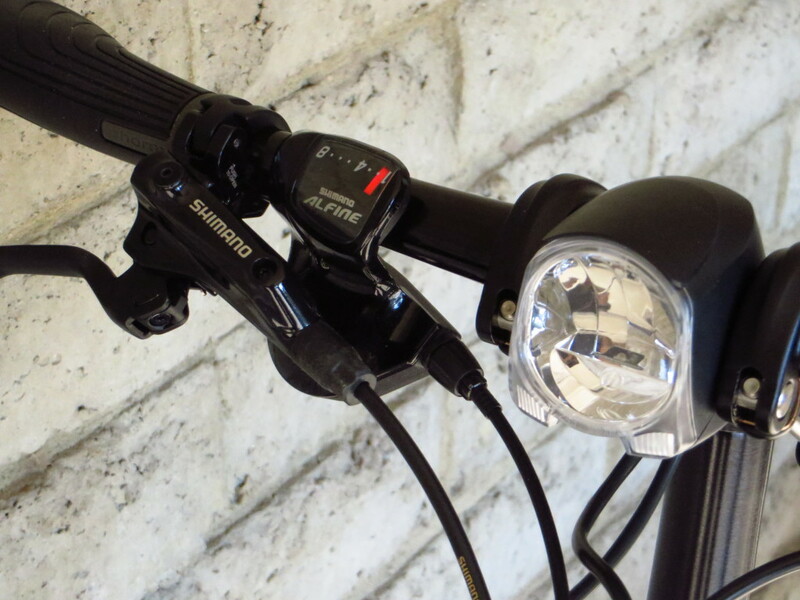 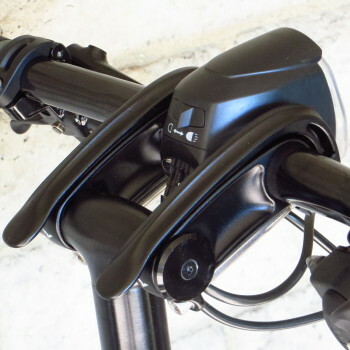 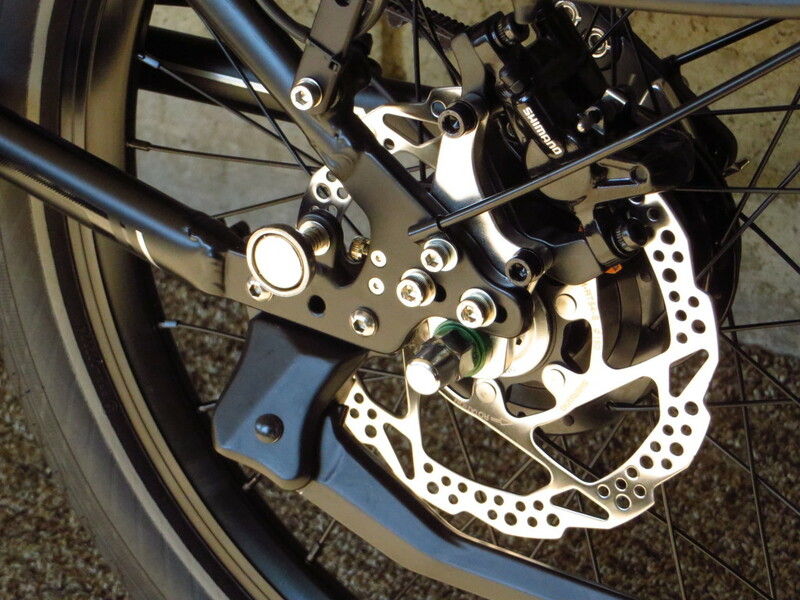 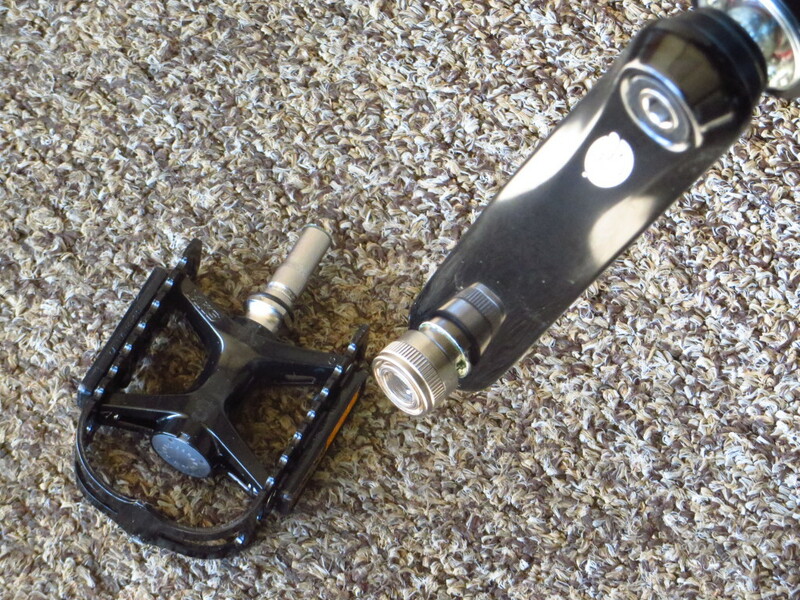 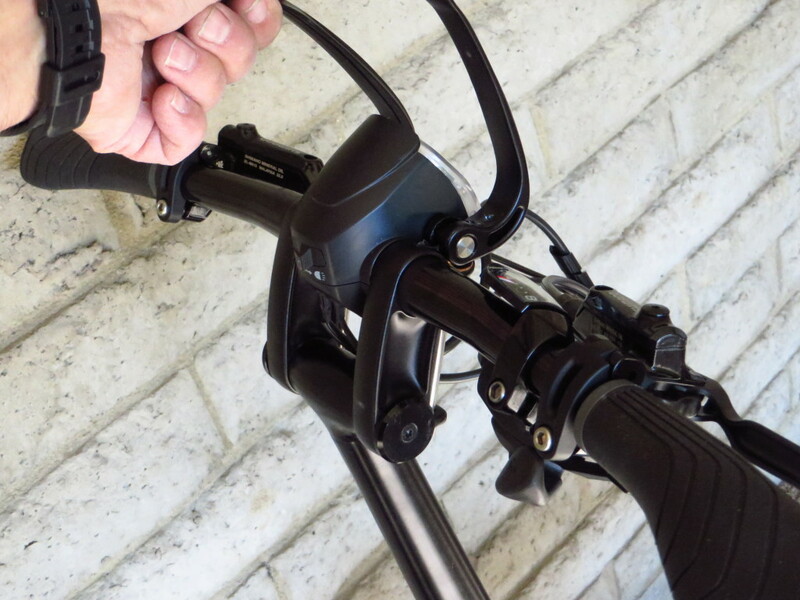 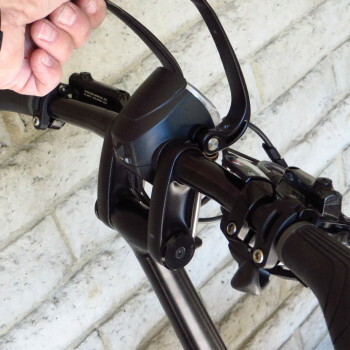 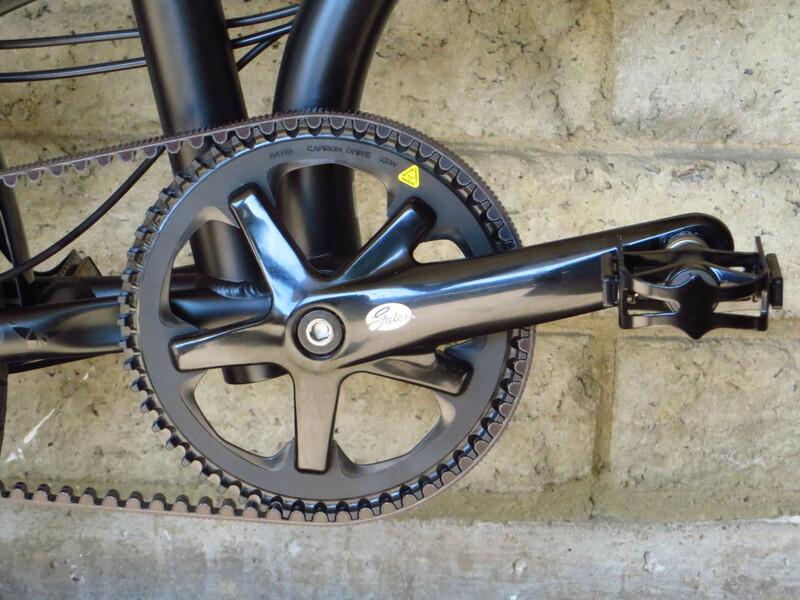 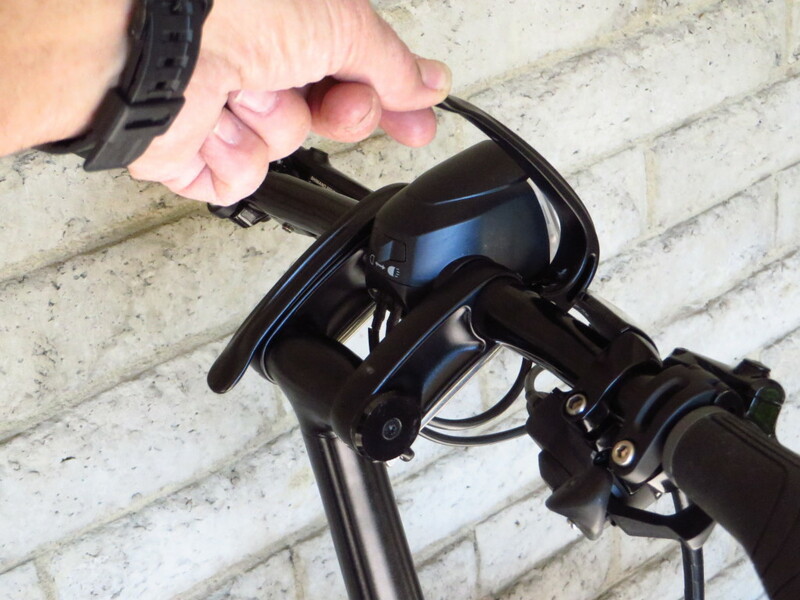 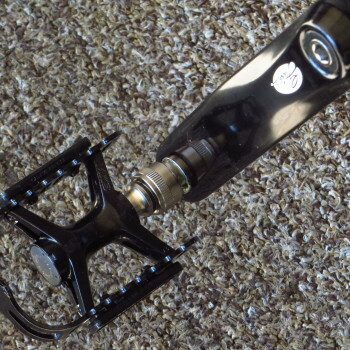 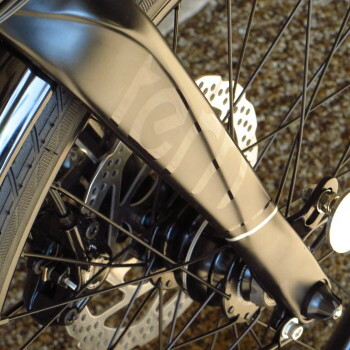 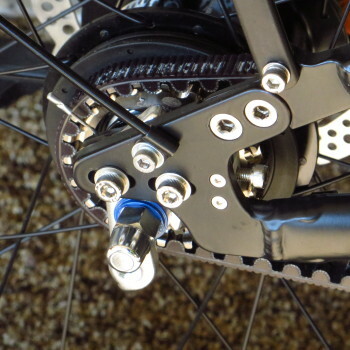 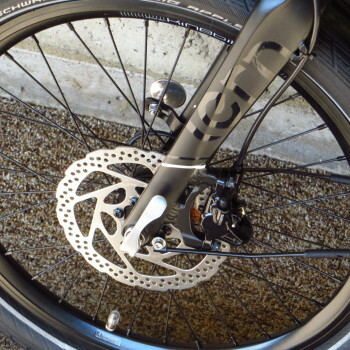 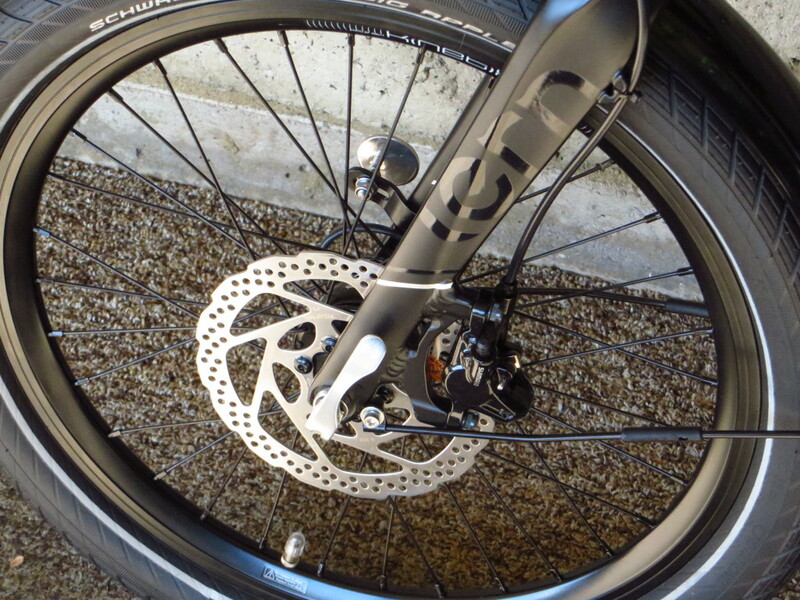 Brakes: Shimano Deore hydraulic disc brake set, Shimano Deore hydraulic brake levers. 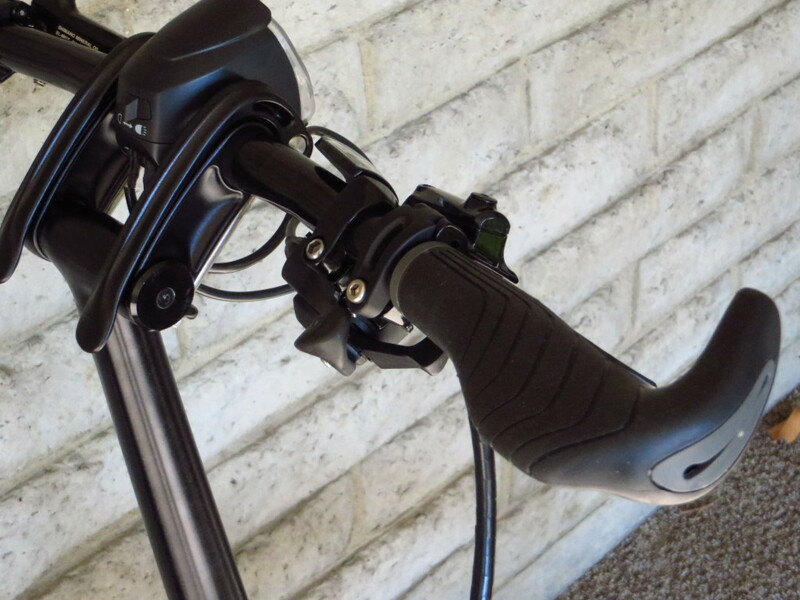 Cockpit: Tern Physis 3D forged handlepost, Andros (G2) forged adjustable handlebar stem, Kinetix comp double-butted 6061 aluminum handlebar, Phorm ergonomic grips with bar ends, gel saddle, and 7050 aluminum hand anodized seat post. 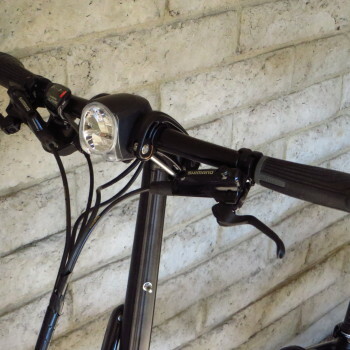 Bike comes complete with 41 lux L.E.D. 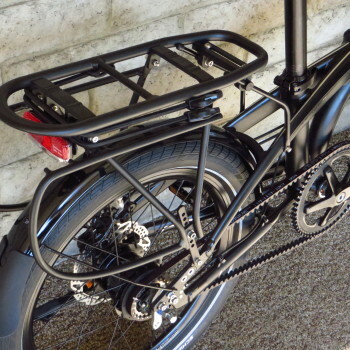 front headlight and a rear tail light, cargo rack, kickstand, bell, and fenders.